Justice for Keegan Von Roberts 3/5/2018 AVAAZ: Sign the petition. Keegan's wife Eliani is from Havana, Cuba. On July 20, 2017 Keegan Von Roberts was murdered in cold blood. The man responsible for his death is a man named Michael Centanni. On this day Keegan was on his own property when approached by his murderer who was armed yet again as this was not the first time Keegans murderer had approached him on his property for conflict all over a simple dislike of Keegan and the person he was. No one is really sure why this dislike was so strong; not Keegan or his family. For a while we just figured it was the strong minded man and person Keegan was that simply just bothered this man but we figured over time it would cease as there was no real issue at hand between the two. Its not abnormal in today's world for people to be disliked simply for being a good person on the right path; we figured it was simply that that discomforted Keegans murderer. Many times Keegan had just walked away or avoided the constant harassment of his murderer but this day he finally stood his ground for the safety of his wife, his little girl, and his unborn child requesting that the harassment and scare tactics just stop. As any person would be Keegan was tired of it but standing up for himself and his family this day caused his life to be taken away; an altercation broke out and as Keegan was defending himself he was shot and murdered in cold blood laying there to die in front of his wife. Keegan's murderer was never arrested due to the "Stand Your Ground Law" in Florida. Its hard for family, friends, associates or even strangers to grasp how a man can go through the constant harrassment over time always being the bigger person and walking away could lose his life to this same man. A senseless careless person who eventually murdered Keegan and is walking free to continue to live his life and possibly do this again to another individual whom he may simply "just not like". Michael Centanni approached Keegan Von Roberts on his own property three separate times and was armed all three times all with the intent to do dangerous harm always telling Keegan he did not like him and was going to kill him one day; we are all wondering how this is not pre-meditated murder. A man has lost his life due to not being liked by someone, wow what a world it would be if everyone started shooting and killing all the people they "just don't like" in cold blood and remained walking free to live life. If you knew Keegan he was a laid back genuine individual who just loved everyone, he was full of life, was an amazing father and husband, and such a gift to anyone who knew him, he never bothered anyone and kept to himself most of the time. Keegan stayed busy with work and family as taking care of his family was key to him. Keegan was a husband, a father, a son, a uncle, a brother, a friend, a loved one and a very special man to so many people. Left behind are all these people wanting "JUSTICE FOR KEEGAN". His wife is left to raise her children alone, his daughter will continue life without her father never having again what she has had since birth, his unborn child will never meet him. His children will grow up having to understand their dad died "for nothing"; wow what a thing for children to have to grasp. His mother, his father, his sister, and his big brother will always have a part of their hearts missing. We ask that you put yourself in Keegans shoes or his families shoes and just try and imagine just a small piece of what his life was like, how it ended, and why it ended. Finally standing his ground Keegan was murdered and The stand your ground law let his murderer go free; wow what a law that definitely seems to have a backwards purpose. The state of Florida is attempting to justify his murder with this law all due to a small part of his car being parked on the sidewalk. His murderer lives all the way across the street. We wont let the state brush this under the rug all because they don't have time or do not want to deal with it. If your mindset is where all of ours is after reading this we ask that you please sign this petition and share as we all just want "JUSTICE FOR KEEGAN". "We represent Keegan Roberts’s family. On July 20, 2017, Keegan Roberts’s neighbor, Michael Centanni, continued to harass Keegan and his family by leaving notes on his car. On this day, Centanni was harassing his neighbor over litter or debris in his yard. He previously had shouted at his neighbors, using hate words like the n-word and s-word (describing his Hispanic in-laws). Keegan Roberts left the residence to go on a date with his pregnant wife, Eliany Roberts. Upon return about midnight, they were sitting in the car in their driveway when a person, later identified as the aforementioned neighbor, Michael Centanni, engaged in an act of aggression upon Mr. Roberts or his vehicle, causing him to exit his vehicle. Mr. Roberts was shot three to four times by Michael Centanni. He died on the scene. It is our understanding Michael Centanni claims Mr. Roberts aimed a gun in his direction. Although we dispute a gun was ever pointed at Michael Centanni, Mr. Roberts was on his own property and had a right to defend his property, his person and his nearby pregnant wife from aggression and harm. Further, if Mr. Roberts indeed was armed, evidence showed he never fired despite Centanni having a chance to pull out his gun, chamber a round and fire multiple shots. Keegan also had a valid concealed weapons permit. Centanni was never arrested and apparently has left town. [He has since come back and sent the police to harass Keegan's family.] We have since learned that he was ex-military and had weapons training. The State Attorney cannot answer whether he applied to or was seeking employment with JSO. Keegan’s pregnant wife lost her baby this week, after 5 months of carrying her, due to the stress." -- Keegan Roberts Update 8/16/2017 John M Phillips, Esq. The name of the baby who died is Elioenai Keevon Roberts. "As the family lawyer, this is an important case and important precedent which needs to be set. You cannot leave the safety of your home with a loaded firearm, cross the street to your neighbor’s property, bang on his car door, start a confrontation and shoot your way out of it. It’s not self defense or stand your ground." -- John M Phillips, Esq. A disposition report released by the State Attorney's Office found the evidence in the case supported Centanni's self-defense claim. News4Jax files a biased article where they fail to even mention that the dispute took place on Keegan's property, in his own driveway. No charges to be filed in shooting death of Keegan Roberts 10/3/2017 New4Jax: "According to the disposition, the shooter approached Roberts after leaving the note, Roberts exited the SUV and that's when the shooter says Roberts pointed a gun at him. The neighbor then pulled out his gun and shot three times, killing Roberts." We will demand that Michael J. Centanni IV be brought to justice in the murder of Keegan Roberts!!! If you go to his page Roman Avichae Zionist Movement, distinct from his personal page, you will see: "Roman is one of the biggest leaders of zionism he will change the world as we know it." There are those who say he does not have the right to comment on the Keegan case. Given the widespread practice of US police departments going to Israel to receive militarized counterinsurgency training to manage certain US neighborhoods, it is in all of our interest to understand the type of training US police is getting. Justice for Keegan Von Roberts 3/5/2018 AVAAZ: Petition with a good explanation - "The state of Florida is attempting to justify his murder with this law all due to a small part of his car being parked on the sidewalk. His murderer lives all the way across the street. We wont let the state brush this under the rug all because they don't have time or do not want to deal with it. If your mindset is where all of ours is after reading this we ask that you please sign this petition and share as we all just want "JUSTICE FOR KEEGAN"." Estate of Keegan Roberts v. Michael Centanni Evidence Locker 3/5/2018 John M Philips Esq: Contains numerous call recordings and statements by Keegan Von Roberts' murderer, the white supremacist Centanni. The Dead Bear NO WITNESS 12/13/2017 Folio Weekly: "“Centanni would also assert that the reason he actually armed himself was because he knew Roberts to be an armed drug-dealer,” the report states. “The strong link between firearms and drug-dealing is inescapable.”"
Video: FL Man Shoots Black Neighbour 11/30/2017 AJ+: "This black man's white neighbor shot and killed him in a littering dispute. His family is calling for justice." Morning Vigil for #JusticeForKeegan and Michael Centanni called the police. 11/10/2017 Jacksonville Community Action Committee: "Anything we can do for you guys? YEAH, ARREST MICHAEL CENTANNI"
Vigil held for Keegan Roberts 10/21/2017 News4Jax: [refusal to name Michael Centanni.] "The family members of Roberts were passing out flyers calling for State Attorney Melissa Nelson to review the case again. Police said Roberts' neighbor, who News4Jax is not naming because he hasn't been charged with a crime, shot Roberts after some type of dispute between the two." VIGIL FOR KEEGAN VON ROBERTS CALLS FOR POLICE ACCOUNTABILITY COUNCIL 10/21/2017 First Coast News: "Despite prosecutors calling it an odd decision to confront a neighbor about trash at midnight, the State Attorney's office called the killing justified, a decision Von Roberts' family and supporters strongly disagree with. Many in the crowd saying they believe race was a factor in the decision and calling on the city to create a police accountability council so that a panel of citizens can look into such decisions." 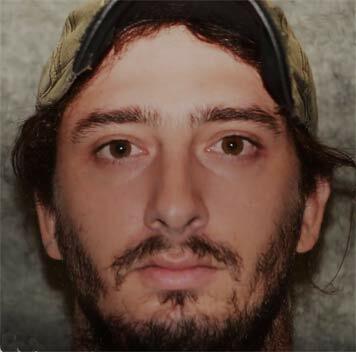 Prosecutors release report in Keegan Roberts shooting death 10/4/2017 First Coast News: "The family of a man killed by his neighbor during a dispute over trash say they are frustrated that no criminal charges were filed." No charges to be filed in shooting death of Keegan Roberts 10/3/2017 New4Jax: "According to the disposition, the shooter approached Roberts [in Robert's own driveway] after leaving the note, Roberts exited the SUV and that's when the shooter says Roberts pointed a gun at him. The neighbor then pulled out his gun and shot three times, killing Roberts." Decision not to file charges in Keegan Robert's death brings disappointment, mistrust 10/3/2017 First Coast News: "He said even if the family fails to have their day in a criminal court, this does not preclude their right to file a civil lawsuit against their neighbor. The burden is a lot lower in civil cases." Jacksonville demands justice for Vernell Bing and Keegan Roberts 9/24/2017 Fight Back! : ""We are continuing to sign up and talk to members of the community about why we need real police accountability and why community control is necessary," said Monique Williamson of University of North Florida Students for Democratic Society and the JCAC. "It's gonna take a movement of the people to bring the radical change we want but we know the people united will never be defeated." 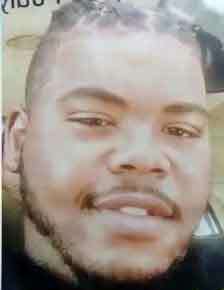 Community group calls for justice in shooting deaths of 2 Jacksonville men 9/20/2017 News 4 Jax: "The group also called the shooting death of Keegan Roberts unjust. Police said Roberts was shot and killed by a neighbor in July, but no arrest has been made. 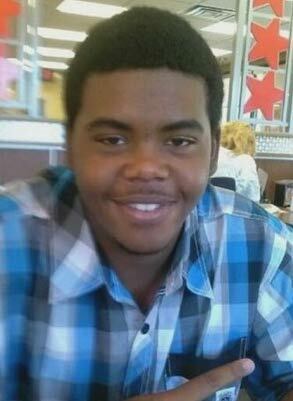 Roberts' mother, Cecilia Shephard, told News4Jax she'll keep fighting until that changes and she gets justice." To: FL State Attorney Melissa Nelson - Justice for Keegan 9/19/2017 Color of Change: "My 22-year-old son Keegan Von Roberts was murdered by our racist neighbor, Michael Centanni, three months ago and the police have done nothing. We need your help to bring forth charges." Group voices opposition to proposal for 100 new JSO officers 9/4/2017 News4Jax: "A woman whose son was killed in July in Jacksonville said she opposes more officers as well. Though officers did not kill Keegan Roberts, his mother said that she blames police for not arresting the killer." Jacksonville community rallies for #Justice4Keegan 9/3/2017 Fight Back News: ""In 2012, we saw a racist vigilante in George Zimmerman murder Trayvon Martin, with the injustice system doing nothing to get justice and it took a people’s movement to see Zimmerman arrested for his crimes and it's gonna take a similar movement here to see Centanni arrested." said Michael Sampson of the Jacksonville Community Action Committee (JCAC)." Keegan Robert's mother and wife share about his death 9/2/2017 Facebook: "Listen to Keegan Robert's mother and wife share about his death. This is our neighbor/community member. Another mother without a son and wife without a husband. His wife did not share but she lost her baby she was carrying after her husband's death. The murderer, michael centanni IV, is on vacation. Never did a day in jail. Our State Attorney Melissa Nelson needs to charge him with murder. Please call State Attorney Melissa Nelson (904-255-2500) and ask her why this young man's murderer is still living across the street with NO CHARGES FILED. We will not rest until there's #Justice4Keegan!" Family demands charges filed in deadly neighbor dispute 8/16/2017 News4Jax: "No arrests have been made. According to investigators, the man who shot Roberts is claiming self-defense and he said Roberts pulled out a gun. But Roberts' widow said the gun never left her husband's waistband." Keegan Roberts Update 8/16/2017 John M Phillips: "Yesterday, the family and I met with Melissa Nelson (State Attorney), Mac Heavener (Chief Assistant State Attorney), Octavius Holliday (ASA, head of human rights division), Alan Mizrahi (Homicide Chief), Tim Quick (Chief Investigator), Karl Harms (Victim Advocate) and Tom Mangan (ASA assigned to the case). It was an emotional meeting." Family of man killed last month pushing for justice 8/6/2017 News4Jax: "Police said Roberts got into a heated confrontation with his neighbor before that man pulled a gun and shot him. Still, the neighbor remains a free man. "I guess it's 'stand your ground.' I guess you can now stand on a sidewalk and fire off shots at people if you feel threatened. He left the safety of his home and came to my son. I have a very passive son. He is non-violent," Shepard said." Rally held for Jacksonville man shot, killed by neighbor during dispute 8/5/2017 Action News Jax: "The victim’s wife, Eliany Diaz Roberts, and his mom, Cecillia Shepard, tell us Keegan was confronted by a neighbor who pulled the trigger on their loved one. “I want this man arrested, he’s walking around and when my daughter-in-law walks outside and she has to look at him over there laughing,” said Shepard." Young father fatally shot by neighbor, police say 7/20/2017 News4Jax: "Keegan Von Roberts died after a shooting just after midnight on Peach Street, south of Beach Boulevard. Police said it happened when an ongoing dis pute escalated. Homicide detectives questioned the man they believe fired the shot and later released him. They said the case has been referred to the State Attorney's Office." www.facebook.com/ron.davis.5623293 Ron Davis is the father of Jordan Davis, whose white supremacist killer got life + 90 years for 1st degree murder in another Jacksonville Stand Your Ground case.